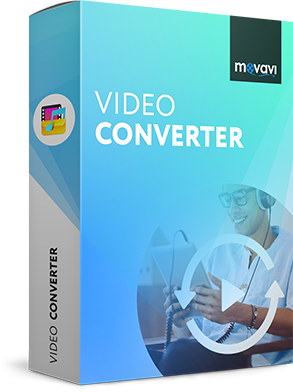 Use our multi-function Movavi Converter! TIFF (which stands for Tagged Image File Format) is widely used in the printing and publishing industries. It’s also popular with professional photographers and graphic artists for high-quality photos and illustrations. Though TIFF may be valuable for printing high-quality documents, the files are too large to be sent via email or uploaded to websites. 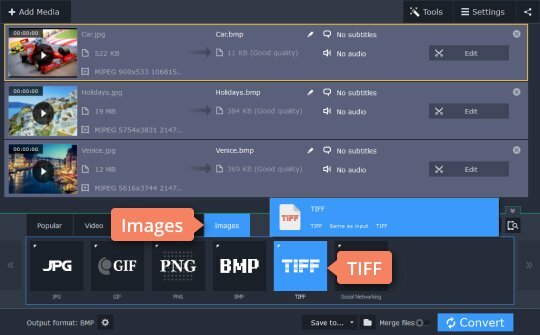 So, it’s useful to be able to convert TIFF files to other formats. 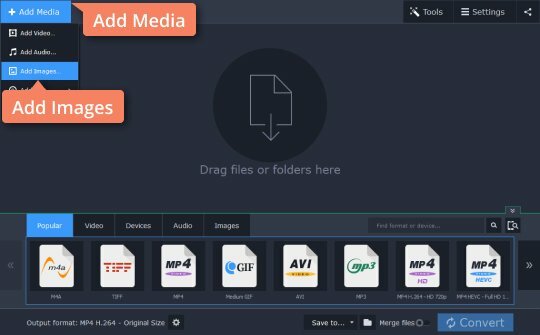 Movavi Video Converter will help you manage TIFF files without the need to install a separate TIFF converter or reader. It’s compatible with Windows and Mac OS X 10.7 and higher. Follow our simple guide for easy conversion. Open the installation file and follow the setup instructions. 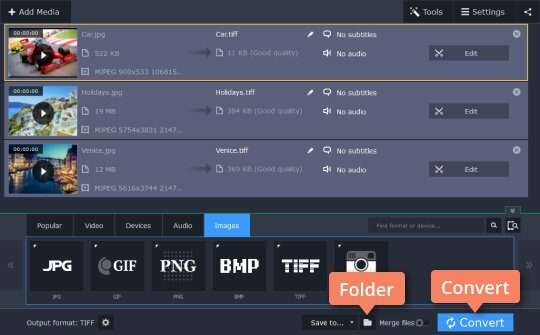 Click the Add Media button, then Add Images and choose the images you want to convert to TIFF (or any other format). You can add multiple images at one time. 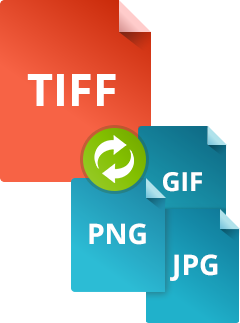 To convert a picture in JPG, PNG, or BMP format to TIFF, click Images and choose TIFF. If you’ve uploaded TIFF files and want to save them in another format, choose the target format from the same list. Click the Folder icon to specify the destination folder and click Convert. Once the conversion is complete, the output folder will open automatically.